The first book in my cookbook collection. I was probably about 11 when I got it. I loved it! I really had no idea how this blog was going to develop when I started it on December 31, 2009. I just started blogging about what I was cooking. And I started thinking of family favorites that I wanted to include, like Pecan Pie, Crab Vermouth, and Mom’s Oatmeal Crispies. But besides the old family favorites, there are a growing number of new favorites, too. 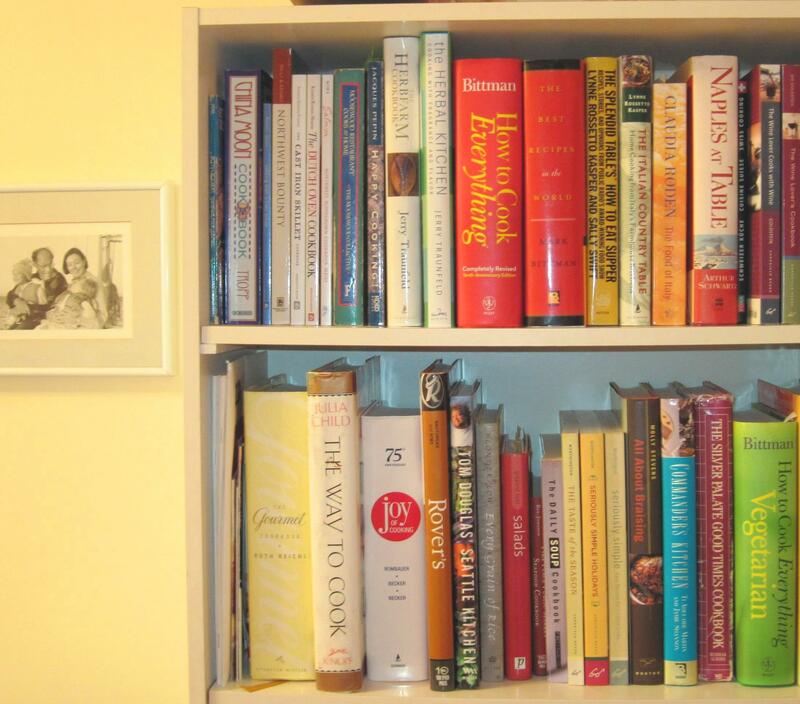 Paging through my vast collection of cookbooks….checking out the latest on epicurious….reading other food blogs….I have always loved searching for new recipes to try. As it turns out, blogging is a fantastic way for me to keep my recipes organized. As a cook who is always trying new things, I’ve lost or forgotten too many good ones over the years. Clearly, I should have started this years ago! I need to give some credit to Bob. He never cooks. Never. Ever. But, he does all of the dishes every night. Every night! Thank you, sweetheart! And he enthusiastically appreciates everything I cook. Well, almost everything. I’m working on broccoli. I like great flavor, and I look for recipes that deliver without a lot of unnecessary work. A lot of the recipes here are quite quick. And I’ve tried to write the recipes clearly enough that they’ll be easy for anyone to make. 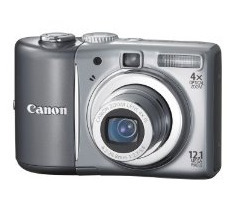 I use a Canon A1100 IS PowerShot camera. Yes, it’s a “point-and-shoot”, but I use it in Manual mode so I can manage the settings myself. The camera came with only the most basic instructions, so I found the 132-page User Guide on Canon’s website and downloaded it; it has way more information than I have been able to digest. I’m still learning. This camera has a viewfinder. I consider it an essential feature, but it’s becoming harder to find on point-and-shoot cameras. Equipment update 2/6/11: It can be a challenge to take photos when there is no natural light available. 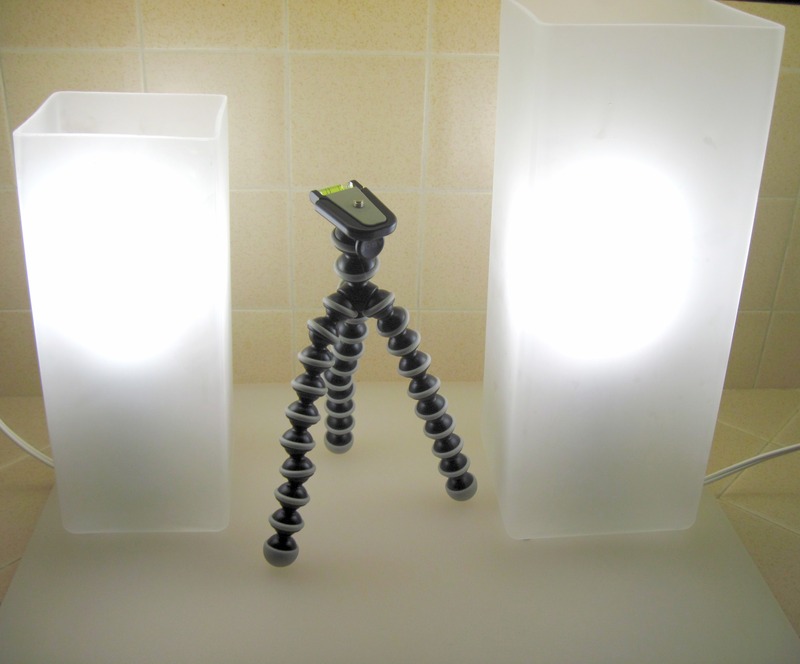 I recently learned some new lighting tricks from another blogger, Marc Matsumoto of [no receipes]. (And to give credit where credit is due, I learned of Marc’s advice from Chef Dennis, from More Than A Mount Full.) Following his advice, I bought some Grono lamps at IKEA that can sit on my kitchen counter. Marc recommended 40W 5000K compact flourescent bulbs, and I found some at 1000bulbs.com. I am quite pleased with this inexpensive lighting solution! Laura and Carrie gave me a Joby Gorillapod flexible tripod and I love it! It’s perfect for a lightweight camera like my Canon. (I don’t know how well it would work with a heavier camera.) I can set the timer and get sharp photos, which is especially useful for macro shots. Equipment update 10/31/12: Lately I’ve started occasionally using my iPhone to capture images. They’re usually the photos that don’t look so great, but maybe I’ll become more skilled at iPhone photography with practice. For the first couple of years I found picnik.com to be pretty useful for “tweaking” my good photos into better ones. Since picnik closed in April, 2012, I’ve been using Adobe Photoshop Elements 10. The cookbooks, kitchen tools, and products mentioned in the blog are all things that I use and recommend. If I think a tool makes the recipe easier or a particular food product makes a difference in taste or quality, I like to let you know. Any products or books mentioned in my blog are items I have purchased or have received as a gifts from family or friends. I do not accept free products or books to review. I love getting comments. LOVE it! I read them all and try to respond in a timely manner. So don’t be shy. I would especially love to hear about how a recipe worked for you. Thank you for visiting my blog! I hope you find some interesting things to try in your own kitchen! From Seattle…..In the kitchen with Kath! Wow! What a wonderful Blog. Do I see another Julie and Julia coming on? The recipes look very yummy and the pictures are amazing! I can’t wait to see what is next! 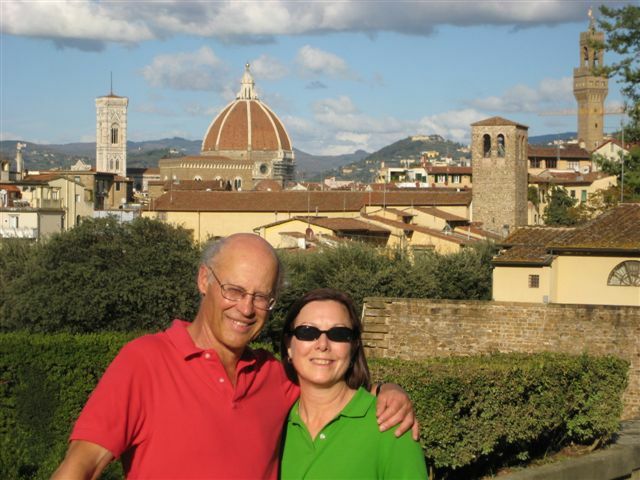 It is fun to meet another Kath food blogger–and we both believe in Real Food, too! Glad to see you enjoyed the ham for Easter! Just thought I would let you know you can find us on Facebook at http://www.facebook.com/pages/Snake-River-Farms/136565896171?ref=ts. We recently posted your blog on our wall and are very excited you had a great Snake River Farms experience!! Great site! I just stumbled on this via Photograzing. Hi Kath… I’m another foodie Kath but don’t have a blog yet. You’ve motivated me to look into it. I love your site!! Thanks for you kind comment, Kath! You should give blogging a try. I just started in January, and I’m having so much fun with it. WordPress.com makes it easy to get started, and it’s free. Explore http://foodblogalliance.com/ to learn from the experts. Hi Kath, I’m back again and I hate to ask. I think it was you who left a comment on my blog but I could be wrong. When I accepted comments this morning, one did not show up, and I’m not sure where it went. Thanks so much. Hi Nirmala, I did comment on what I think was your second post back in 2006 about your philosophy about food. I totally agree with your thoughts about eating real food. You have a great blog, and I will be exploring it some more. Kath, Your photos are amazing and make me want to create each and everyone of your posts. How do you get such great shots? Wow, Sherri, thank you so much! I have a modest point-and-shoot camera and I find that getting good photos is the great creative challenge with my blog. I guess it’s just practice, practice, practice. And I use picnik.com for editing. You commented on my blog post about grilling grassfed burgers a while back and I didn’t get a chance to check out your site until now. This is one of the best About pages I’ve seen. The way you’ve detailed everything is so upfront and clear. I don’t know if you were at the International Food Blogger Conference in Seattle last weekend, but your transparency was just what was recommended in the session on law and ethics. I started my blog the same time you did. It’s such a learning process! I’m definitely going to spend more time on your site to see what you’ve done from the beginning. Hope you’re making great grassfed burgers without fear! Thank you so much, Lynne! I didn’t attend the IFBC, but I followed along a bit through a couple of people who were live blogging (I can’t remember who…I just stumbled on to them). I did pick up some good tips. And just last week I bought Dianne Jacob’s Will Write for Food. It’s been updated this year and includes a chapter on blogging. I haven’t read much yet, but I think it will be a great resource. I knew that my old About page was pretty lame, but when I started this blog I wasn’t quite sure what it was “about” or what people would want/need to know about me. It was time to update it, and so I reworked it last weekend. That is so funny about the cookbook! I just loved it. My original copy escaped somehow, but I found another one on ebay a few years ago. Now I see that it has been re-released for a whole new generation to enjoy! My policy is that I don’t do link exchanges (i.e. “I’ll put you on my blogroll if you put me on yours.”) but you’re welcome to share my blog if you think it will be helpful to your readers. I had the same cookbook! Love your blog. Wow Kath…I just discovered your blog! 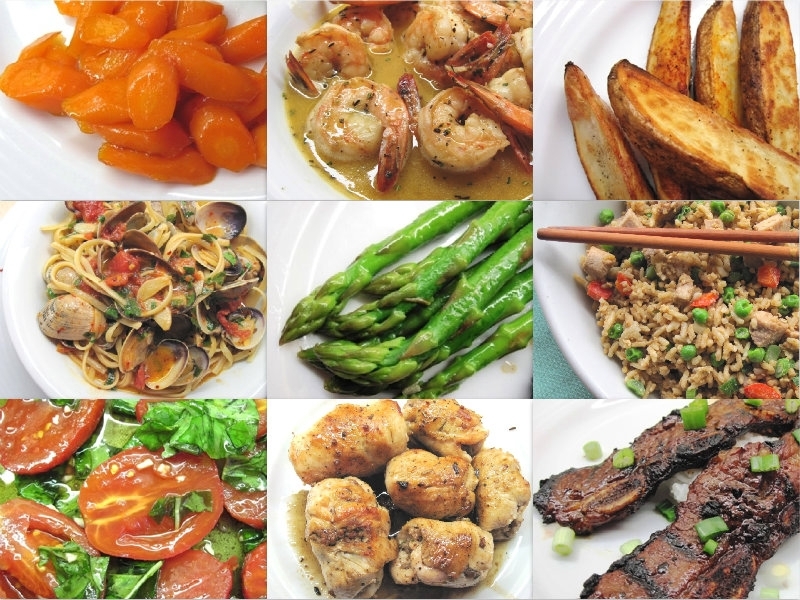 Im going to tune in more often and try out your yummy recipes…it all looks so good and you make it look eeeeeeeasy! Just wondering what your photos would look like with a professional camera … they are just amazing with this little one … nice blog … I’m not a meat eater other than chicken but I still enjoyed your blog, each entry is very well done. Congrats! I love your philosophy on food, Kath! I love to cook and bake and also started my blog as a way to share beloved recipes and new found favorites :). I’m also trying to do a lot more mindful cooking (hence the name of my blog) so I’m excited to see you also cook using “real” foods. I look forward to reading your recipes! 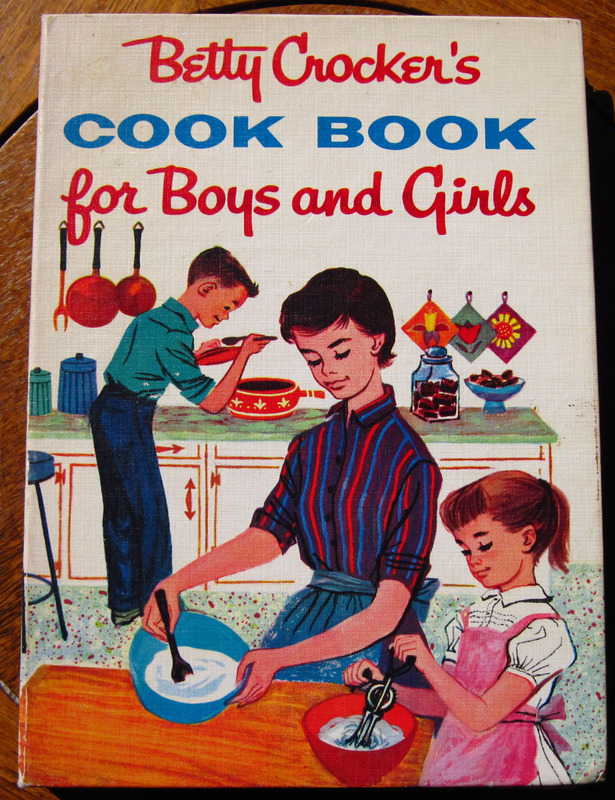 I had that Betty Crocker Cookbook for Boys and Girls, too! But, I still have mine. I didn’t know it had been re-released! – guess I will have to get some for my grandgirls. Ginnie! Hi! What a surprise to see you here. There’s nothing too fancy here…just good home cooking. I do like to eat well! 🙂 The blog just seemed like a great way to organize my favorite recipes. Thanks for making a comment; I love that you found the blog. Hi Kath! Your blog is so beautiful and pictures are amazing. I think I can learn a thing or two from about food phtography! Would love to read your future posts! Just wanted to say thanks for the Perfect Rib-eye Roast recipe. I adapted it to an 8 pound boneless from Costco and it was the hit of our Thanksgiving dinner. I varied it slightly, using my gas grill for the high temp (500°) beginning period so I could sear the roast on both sides before putting it in the oven. The cast iron skillet did the trick. It cooked a lot faster that I thought it would. First check was 30 minutes early and it was already at 135° so I yanked it out. It reached 145° after 30 minutes on the counter. A solid medium. I’ll be back to try more of your recipes. I like your idea of searing it on the grill, Jim! And you are so right about checking it with a thermometer. Glad you liked it, and Happy Holidays! I wish I had been following you since 2009. It would have making dinner decisions so much easier! Thanks for blogging!!! Oh by the way, I have Julia Childs cookbooks and never once thought to look there for a split pea soup recipe……shame on me, but you got that covered!!! Thank you for stopping by my blog; it helped me find yours. 🙂 You have some lovely recipes that I look forward to trying. Thanks for your comment, Paddy! Isn’t it amazing how such a little thing can make a big difference?